Midfielder Conor McGrandles has returned to Falkirk on loan from Norwich City until the end of the season. The 20-year-old has made only one senior appearance since moving to Carrow Road in August 2014. He made over 80 Falkirk appearances after coming through the Bairns' youth ranks. 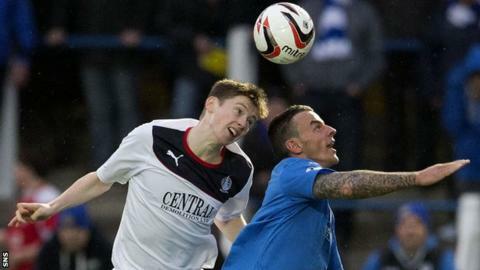 "I'm very pleased to be able to bring Conor back to the club," manager Peter Houston told the Falkirk website. "He's an extremely talented player who hasn't quite had his break yet at Norwich and we feel that we can offer him the platform to get back to playing regular first-team football. "He's a player that we of course know all about and I feel he can add to our squad. I'm sure it is a signing that will excite the fans." Houston's side are currently second in the Scottish Championship, leading Hibernian only on goal difference ahead of Hibs' visit to the Falkirk Stadium on Sunday.